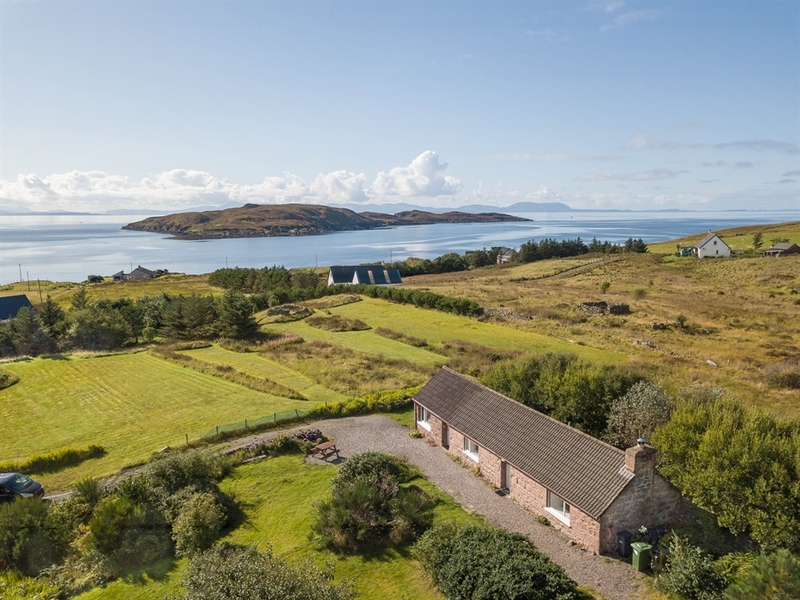 This one storey divided cottage has its own enclosed garden and is only a few minutes walk from the beautiful white sands of Big Sand beach near the pretty West Coast village of Gairloch. 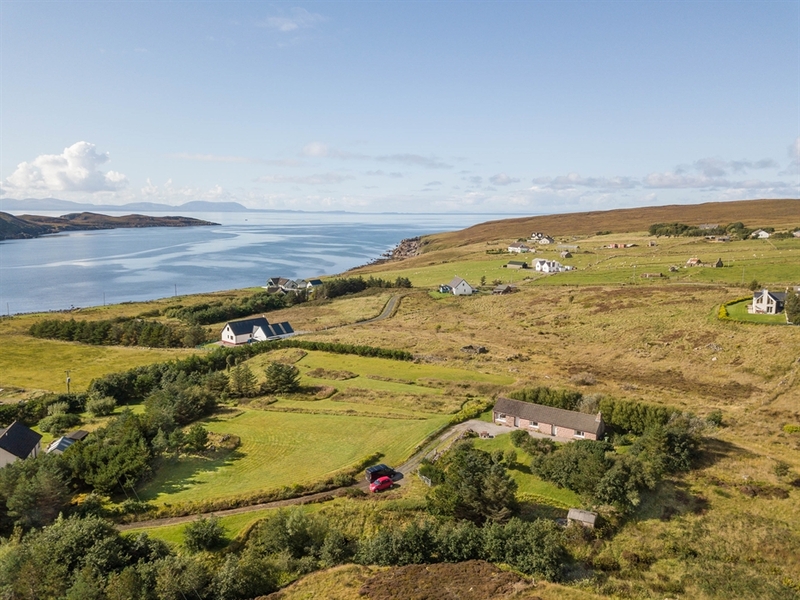 Fasgadh means shelter or haven in Gaelic. 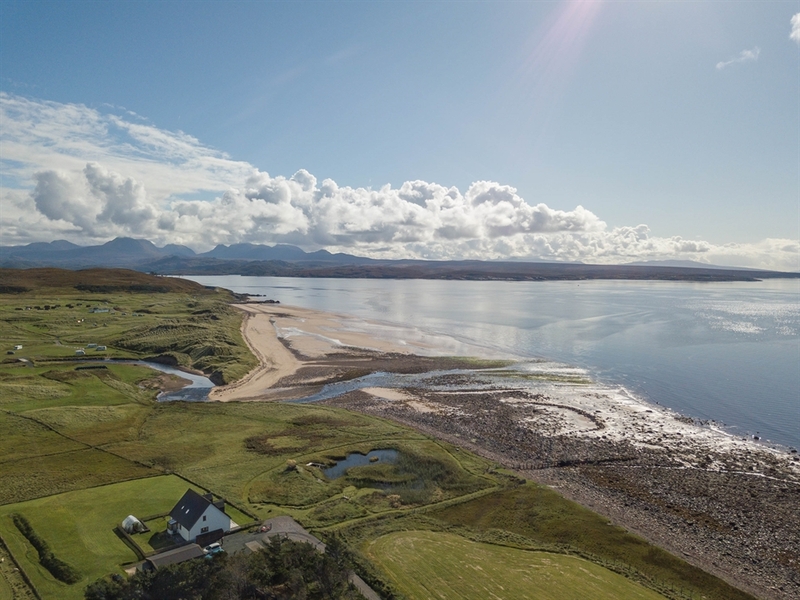 This one storey divided cottage has its own enclosed garden and is only a few minutes walk from the beautiful white sands of Big Sand beach near the pretty West Coast village of Gairloch. 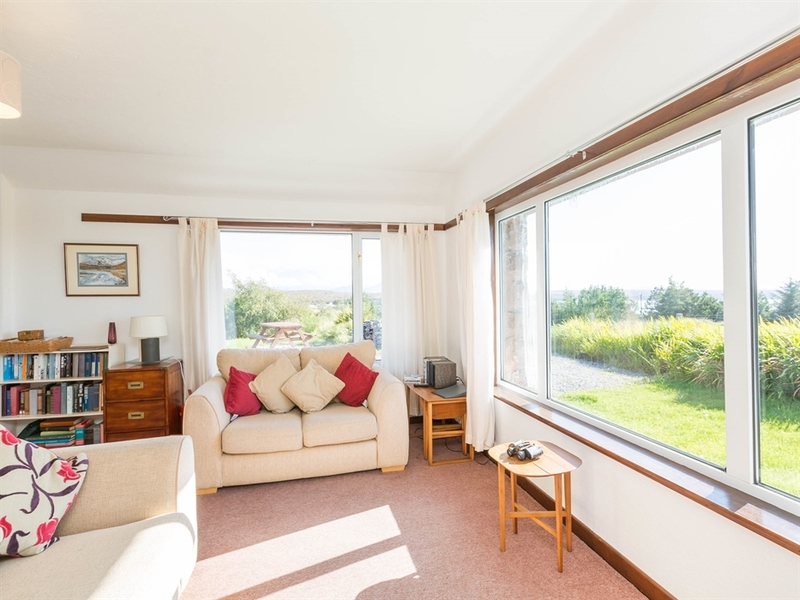 Enjoy the truly spectacular views of the Torridon hills and over the sea to Skye! 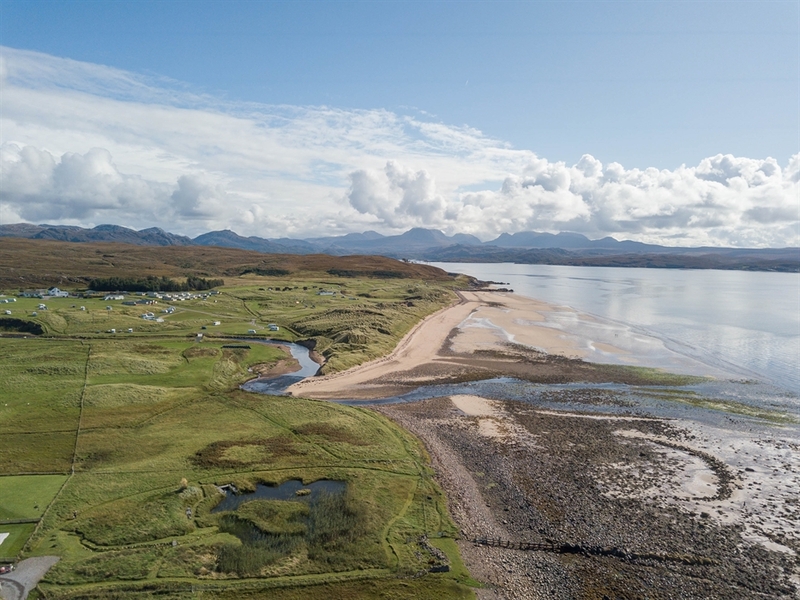 On a clear day even far off Harris can be seen from the cottage. 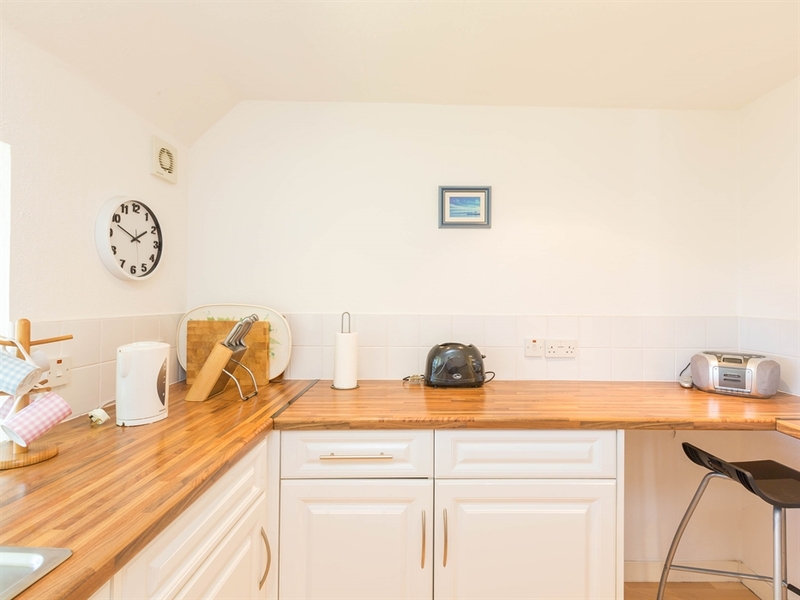 For location it can hardly be bettered. 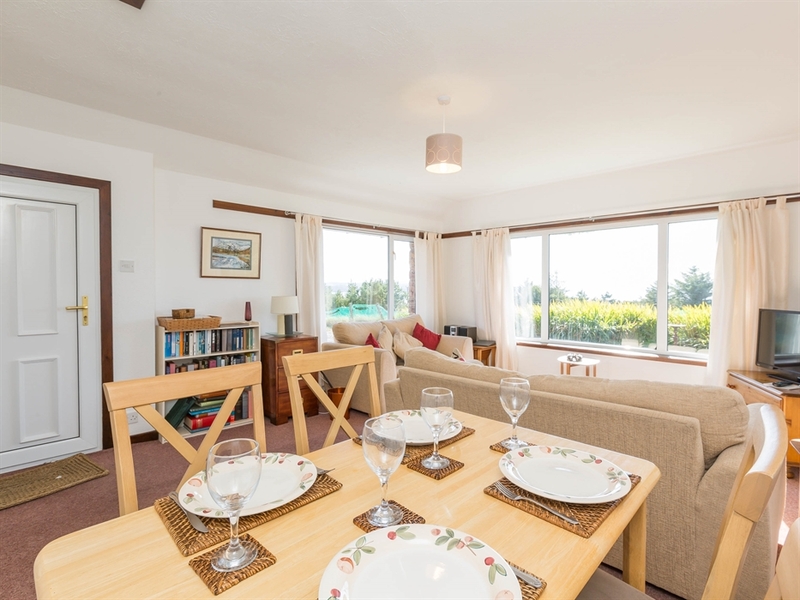 The cottage has a fresh and comfortable feel and one could gaze for hours out of the large picture windows in the good sized sitting room. 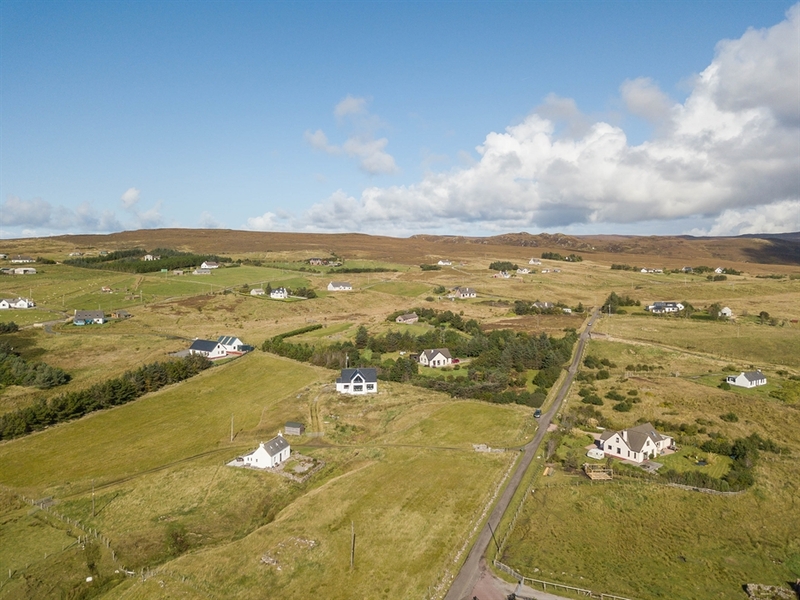 It is located in the traditional crofting community of Big Sand. 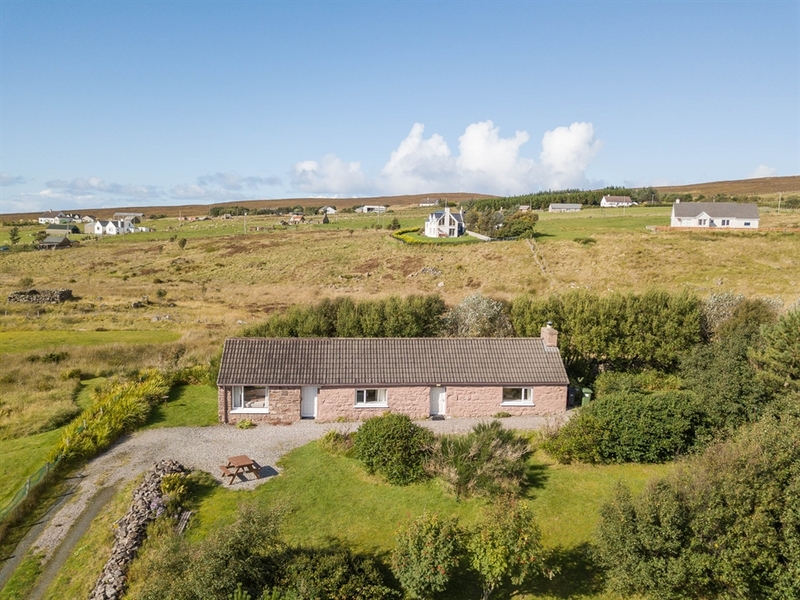 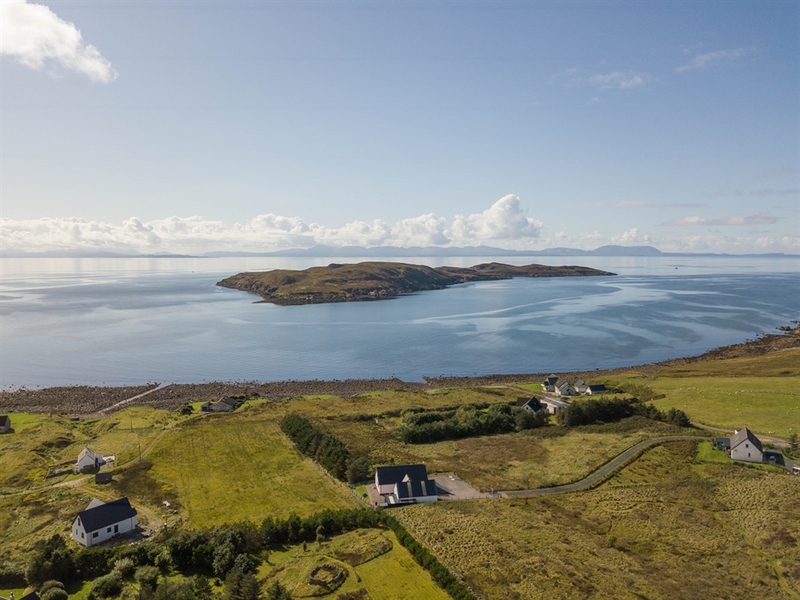 The cottage is on an elevated position with southerly aspect commanding superb views of the Gairloch and Torridon hills and beach at Big Sand and has panoramic views over the sea to the islands of Rona, Raasay and Skye. 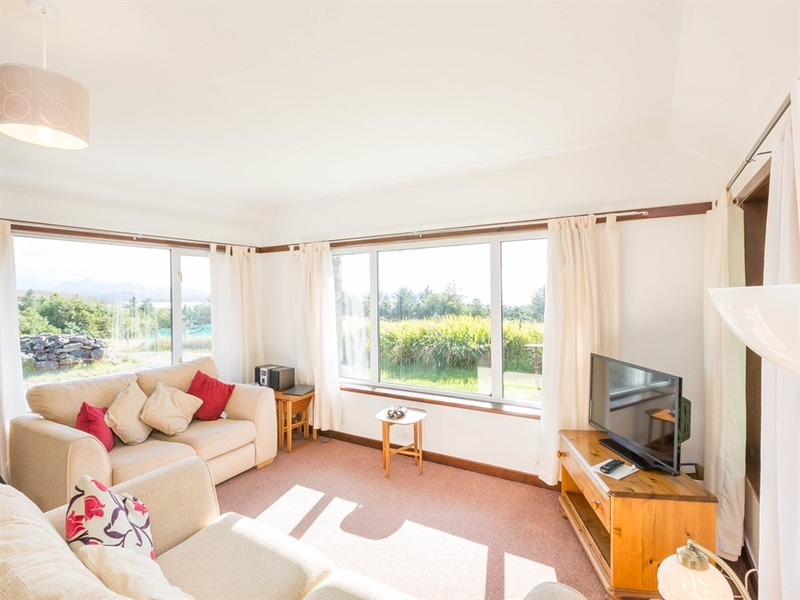 On a clear day the Cuillin hills on Skye can be seen, over 40 miles away, and the lighthouse on Rona can be seen flashing from the settee in the living room. 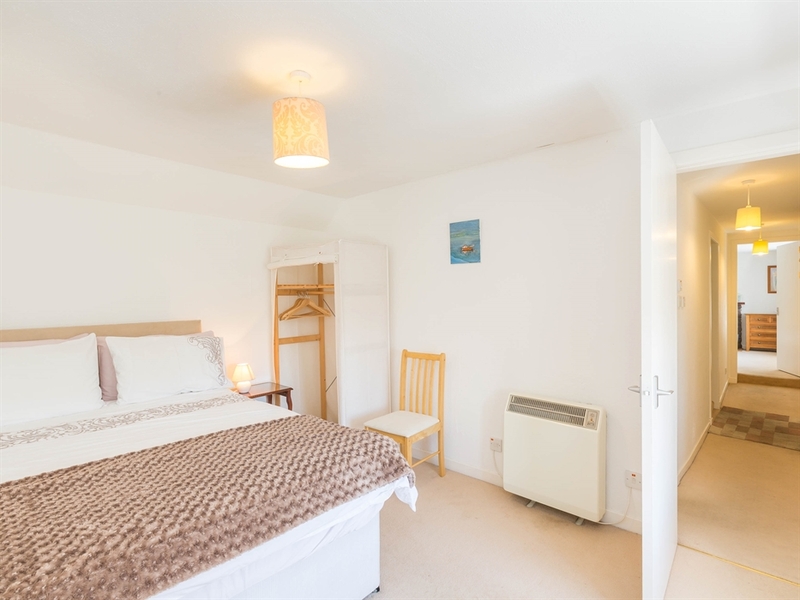 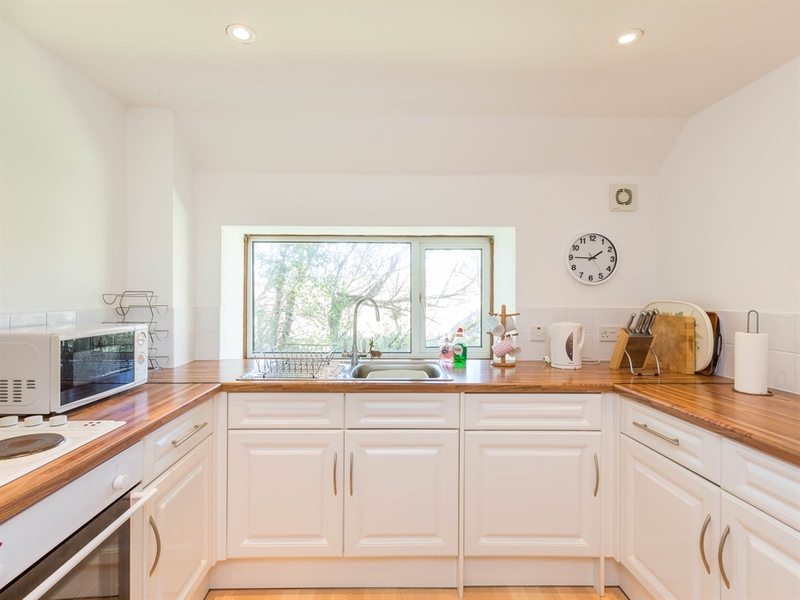 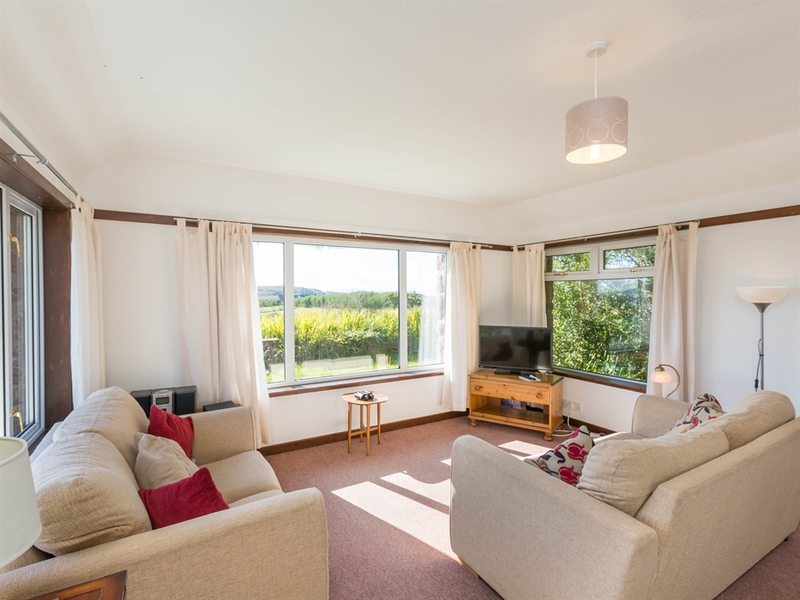 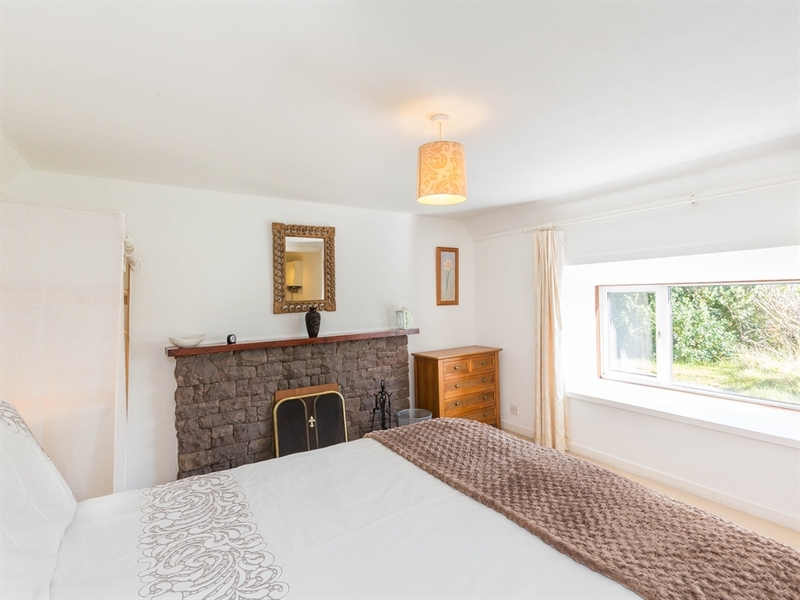 The 2 double bedrooms, the pretty bathroom and the well stocked kitchen are reached through a separate outside door and have been tastefully furnished. 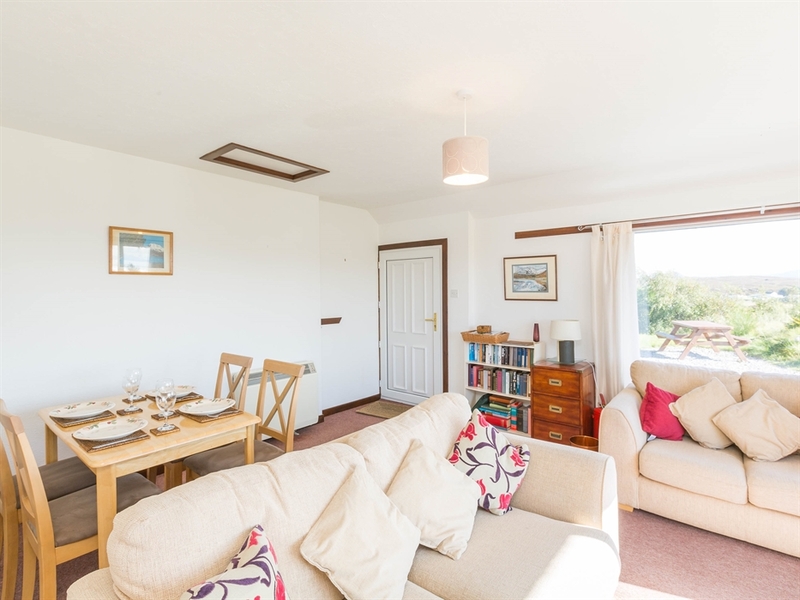 Interested parties please note: access to the lounge is by an outside door and access to kitchen, bathroom and bedrooms is by a second outside door, therefore you have to exit the cottage when moving from one to another. 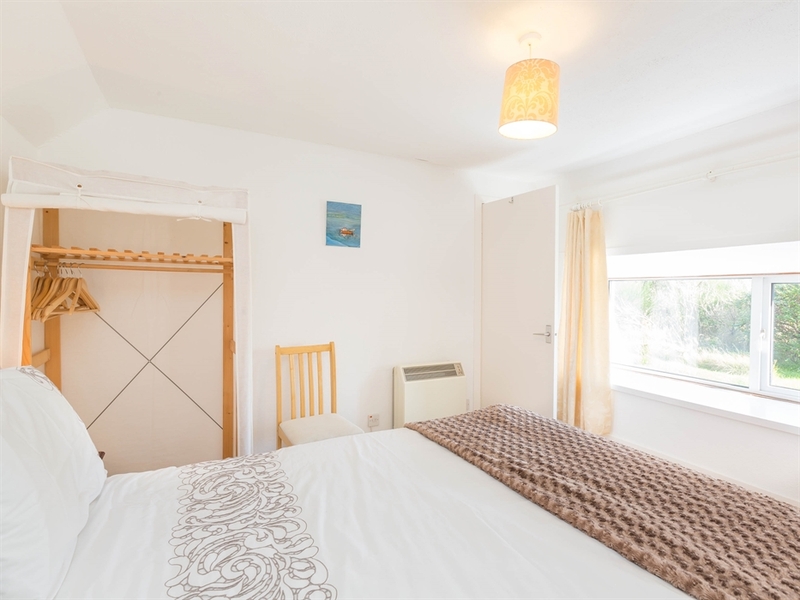 Both are only accessible from outside the cottage. 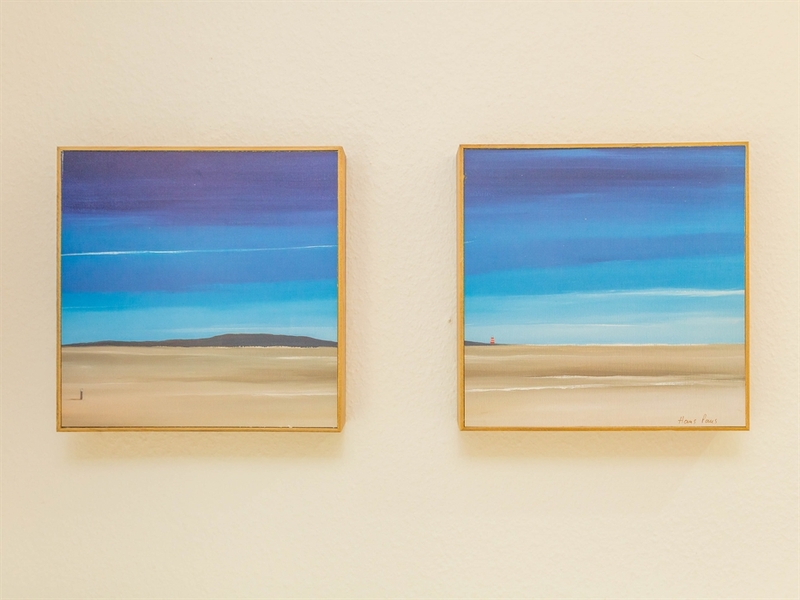 The owner has thoughtfully left out a sketch book, a kite and a set of boules for the beach. 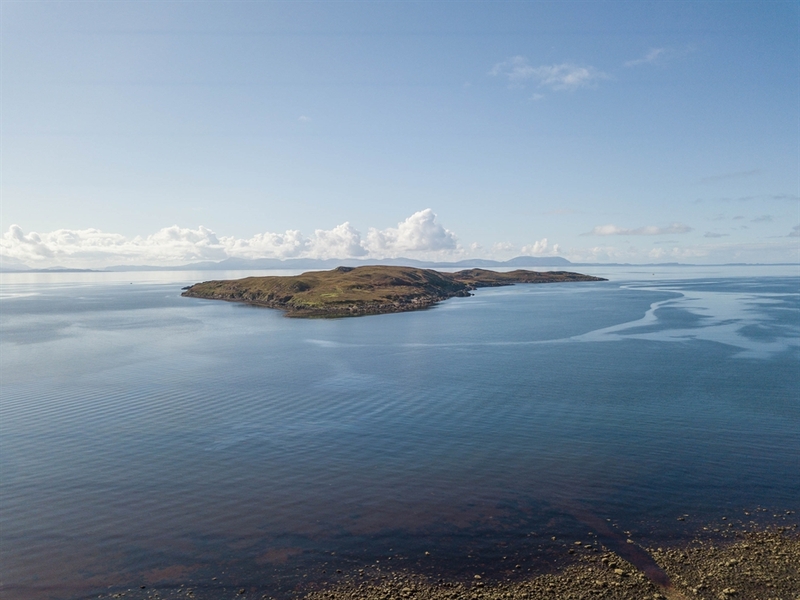 Also, a pair of binoculars - vital for the wealth of wildlife to be seen: sea eagles wheeling, otters in the burn and basking sharks in the sea if you are lucky! 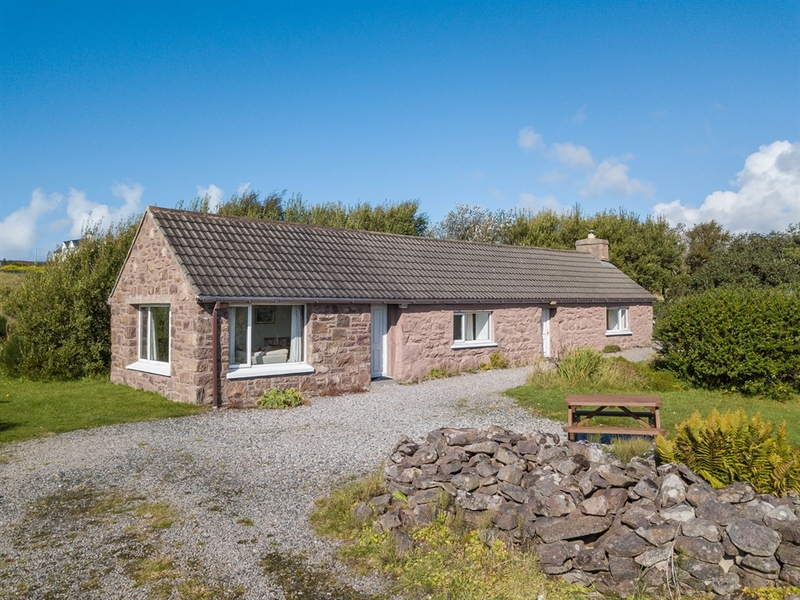 In the village and nearby: golf course (9 holes), hotels, restaurants, coffee shop, award winning museum, pony trekking, beaches, hill and coastal walks, world famous Inverewe Gardens, cycle hire, loch and sea fishing, boat trips, leisure centre, small swimming pool in Poolewe, wildlife cruises (whale spotting, porpoises etc), Britain’s first national nature reserve at Beinn Eighe on Loch Maree. 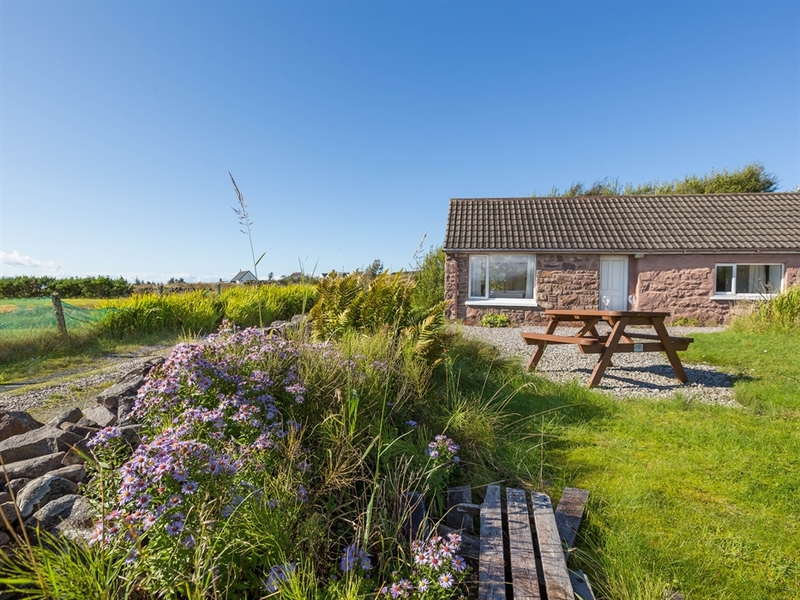 This delightful self catering holiday cottage is an ideal base for exploring the West Coast of Ross-shire. 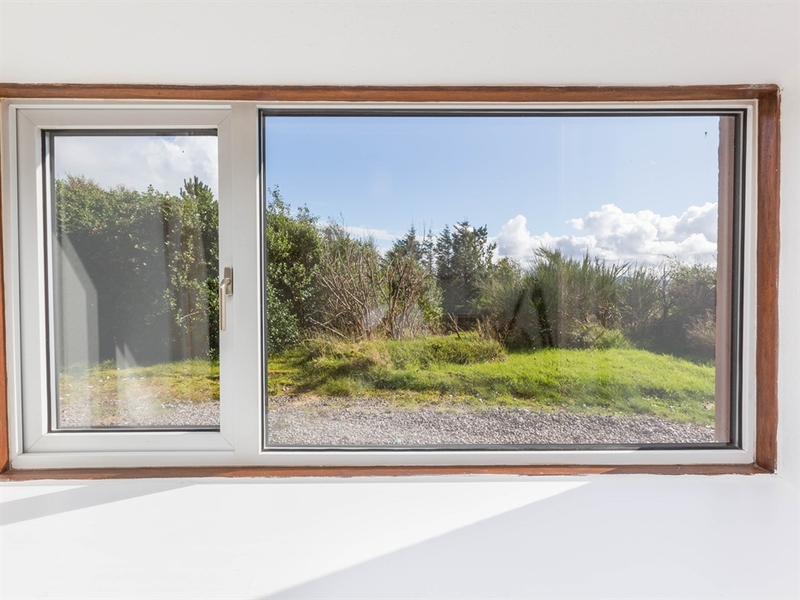 Outside door into sitting room. 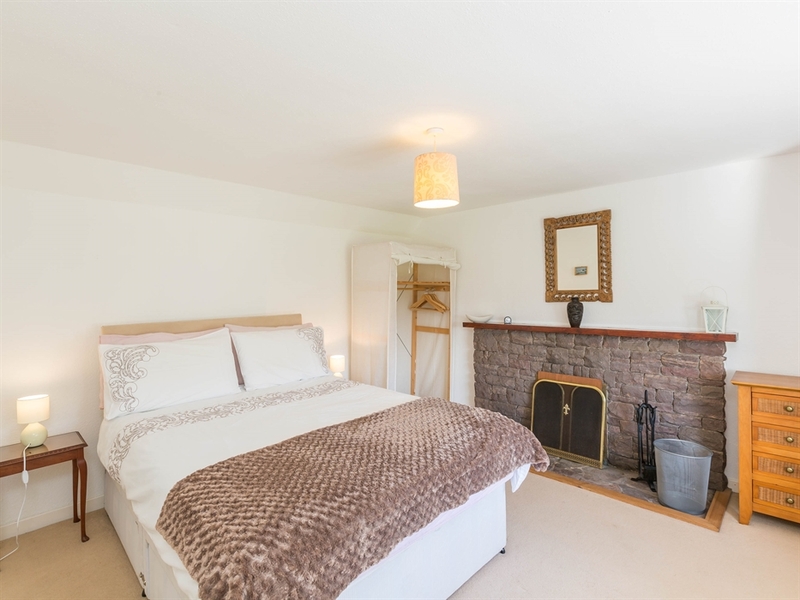 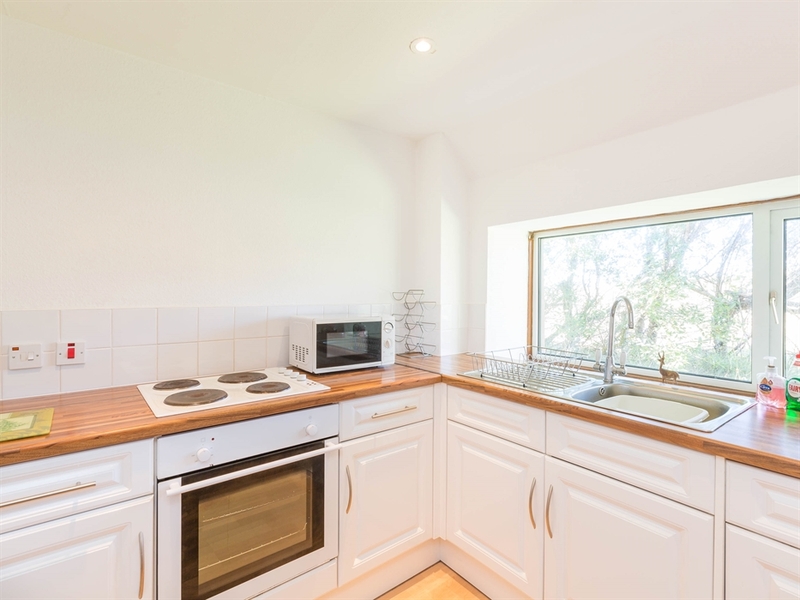 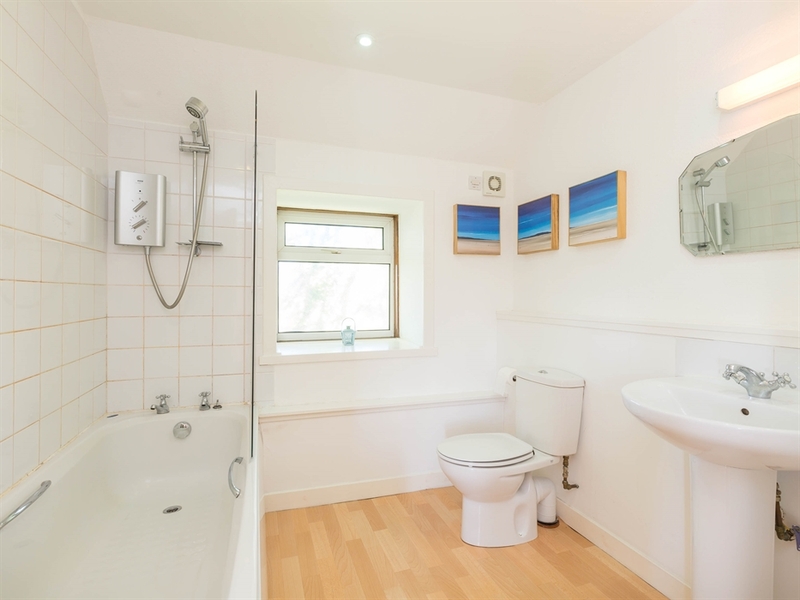 Separate outside door into rest of cottage: 2 double bedrooms, bathroom with bath, electric shower over bath, WHB, WC, heated towel rail and airing cupboard and kitchen.